Will you please give me question paper for PTU B. 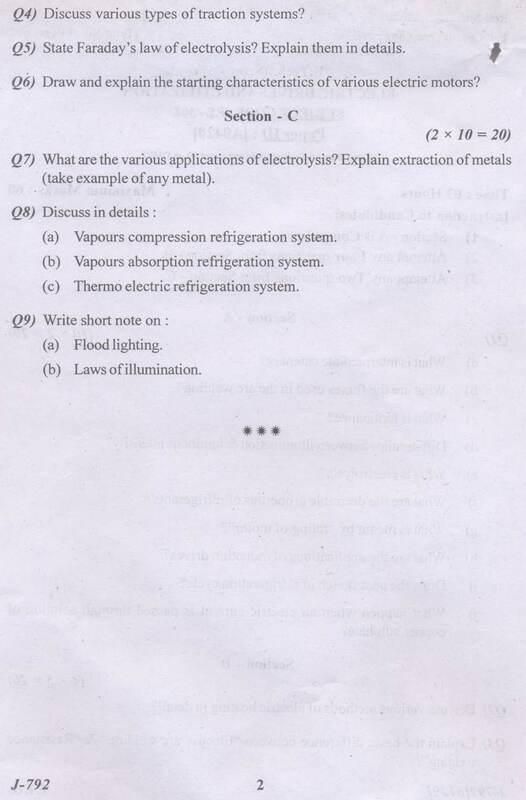 Tech EE-6th Semester Electric Drives and Utilization Examination ?? Here I am giving you question paper for PTU B. 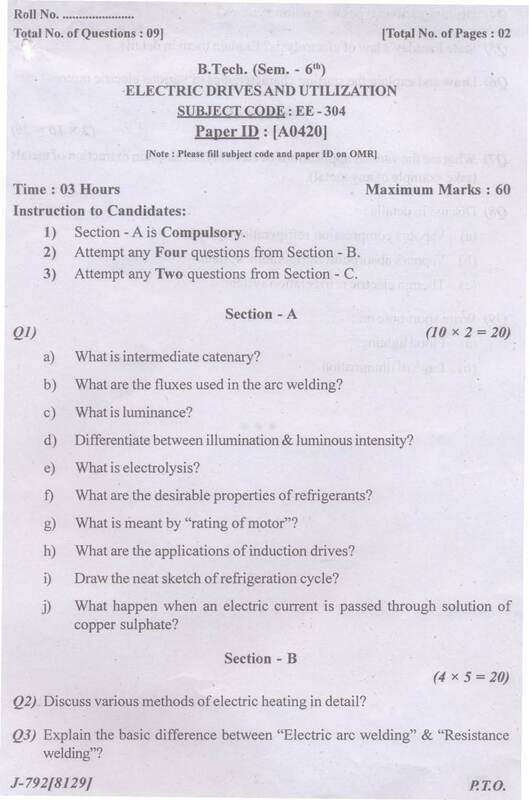 Tech EE-6th Semester Electric Drives and Utilization Examination in PDF file attached with it so you can get it easily..
What are the fluxes used in the arc welding? What are the desirable properties of refrigerants? What is meant by "rating of motor"? What are the applications of induction drives? Q2) Discuss various methods of electric heating in detail? Q4} Discuss various types of traction systems? . Q5} Slate Faraday's law of electrolysis? Explain them in details. # . Q6} Draw and explain the starting characteristics of various electric motors? (take example of any metal). .
(a) Vapours compression refrigeration system. (c) Thermo electric refrigeration system.